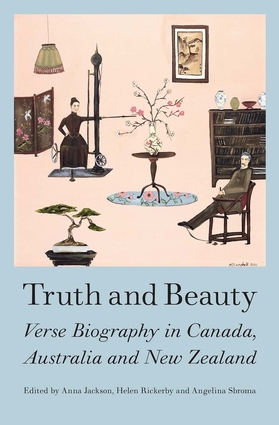 Truth and Beauty turns critical attention to an exciting genre that lies at the intersection of biography and poetry, narrative and lyric, history and the confessional. With essays on influential verse biographers Margaret Atwood, Dorothy Porter, Michael Ondaatje, Jennifer Maiden and Anne Carson along with newer practitioners including Chris Orsman, Jordie Albiston, Robert Sullivan, Tusiata Avia and Amy Brown, this collection looks at the inevitable tensions that arise between historical fact and the work of imagination – and the competing and complementary claims of truth and beauty. Contributors: Airini Beautrais, Amy Brown, Russell Coldicutt, Joan Fleming, Shari Kocher, Tom McLean, Bridget Orr, Ian Rae, Erin Scudder and Jessica L. Wilkinson. Anna Jackson is an Associate Professor in English literature at Victoria University of Wellington, and author of six collections of poetry, most recently I, Clodia (Auckland University Press, 2014). Helen Rickerby has published four books of poetry, most recently Cinema (Makaro Press, 2014), and continues to explore the lives of others as a poetic subject. She is the managing editor of boutique publishing company Seraph Press. Angelina Sbroma is a doctoral student in English literature at Victoria University of Wellington. Her thesis focuses on children's fantasy literature.